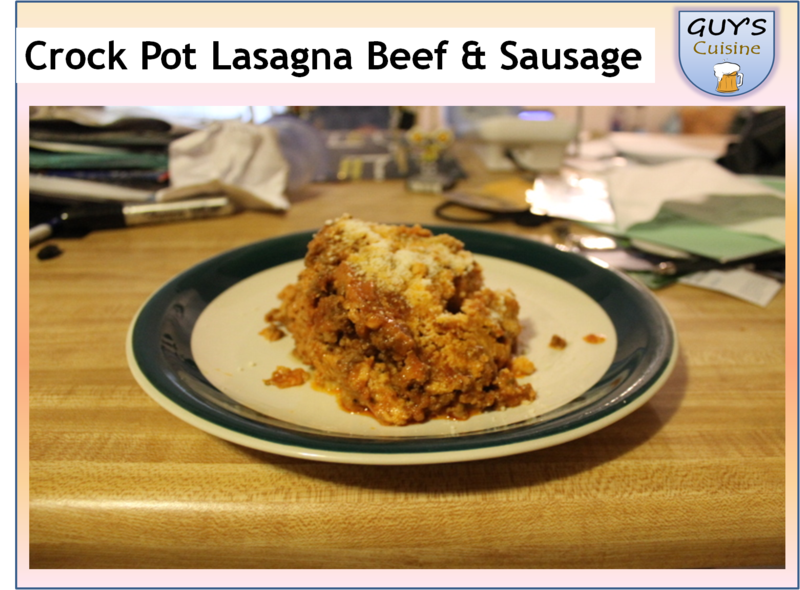 Here is another recipe cooked in the trusty crock pot! 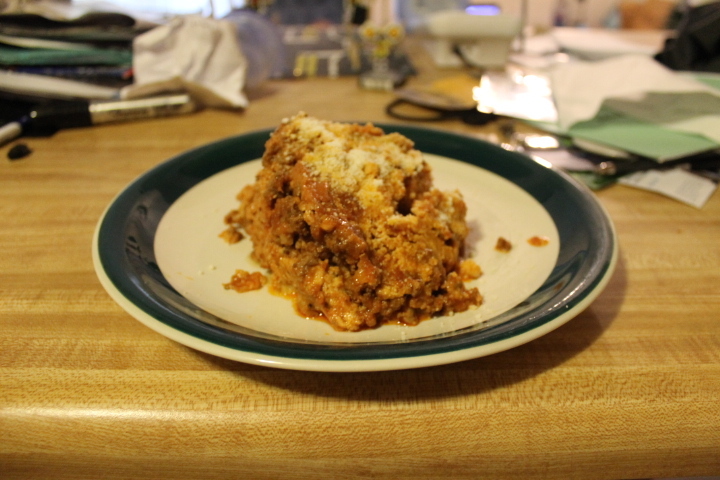 Lasagna is one of those comfort foods that many people enjoy when the weather turns cooler. And I wanted to make a version of this classic recipe that men would enjoy. That means I added a lot of beef, sausage, and cheese to this recipe! To get started, you need a crock pot. And here are the ingredients that you need! 1. 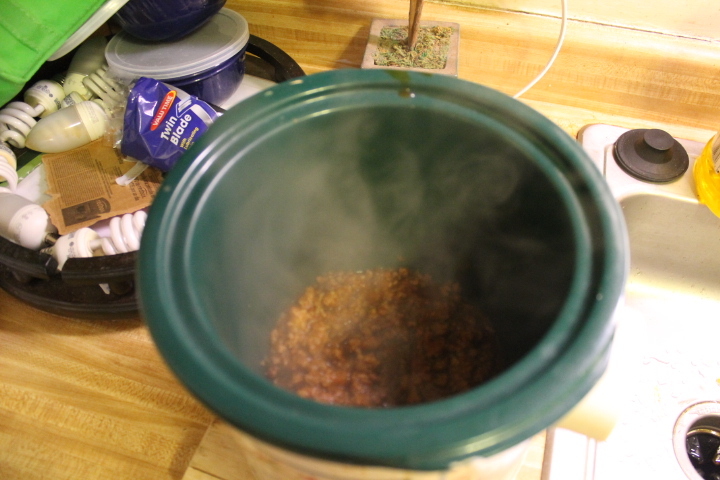 Cook your ground beef, sausage, garlic, and onion in a skillet until fully cooked! 2. 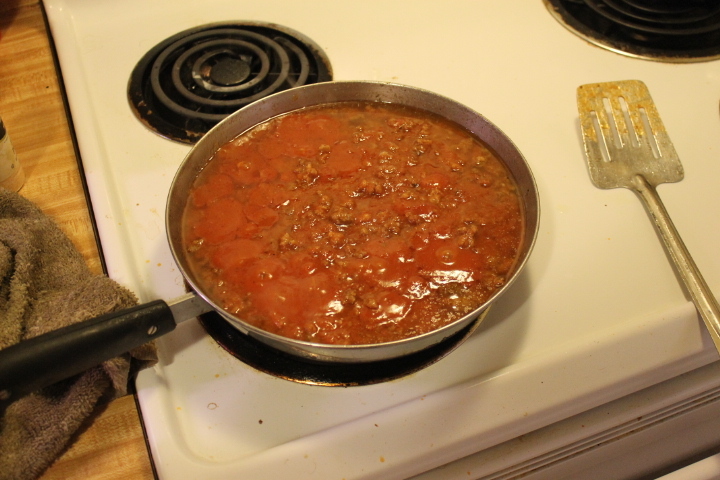 Add spaghetti/tomato sauce and water into skillet and simmer for 5 minutes. 3. Mix ricotta, 2 cups mozzarella, 1/4 cup Parmesan, egg, and parsley in a bowl and mix well! 4. 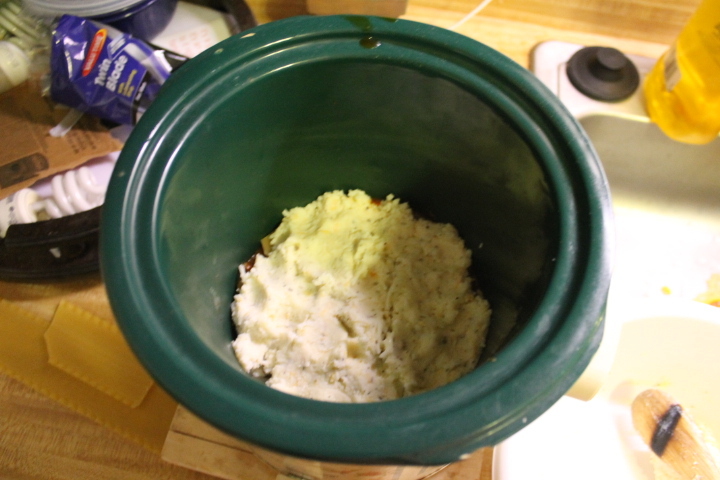 Pour 1/3 of your meat mixture on the bottom of the crock pot. 5. 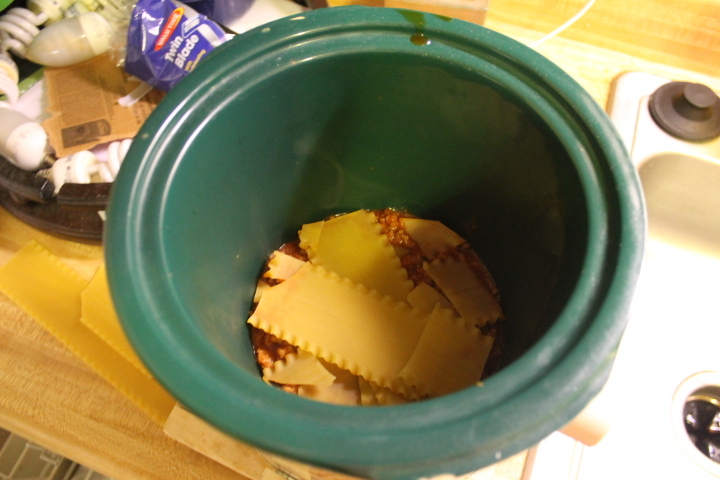 Add 5 of your uncooked lasagna noodles on top of the meat mixture. 6. 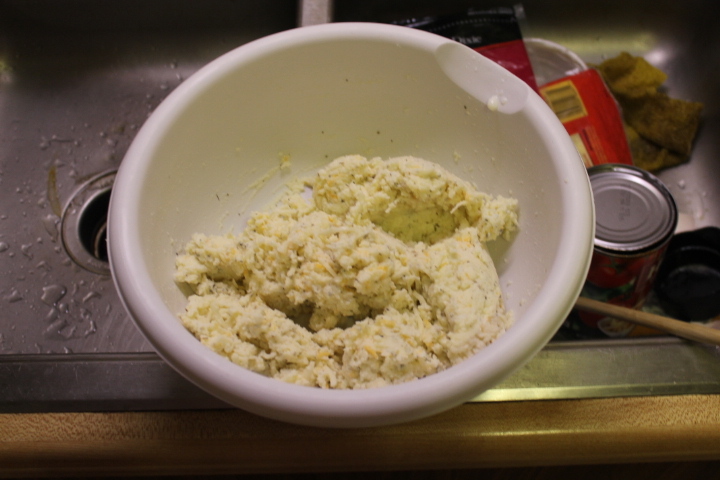 Add 1/2 of your cheese mixture on top of the noodles. 7. 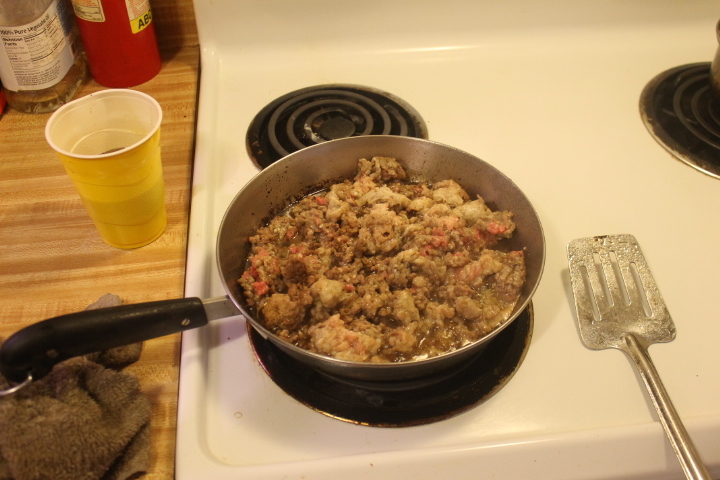 Repeat steps 4,5,6 and add your remaining 1/3 of your meat mixture on top. 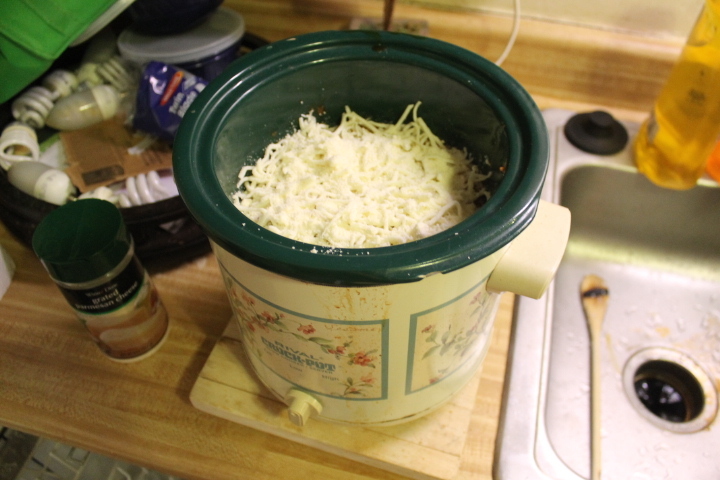 Then add the 1/2 mozzarella and 1/4 Parmesan on top. 8. 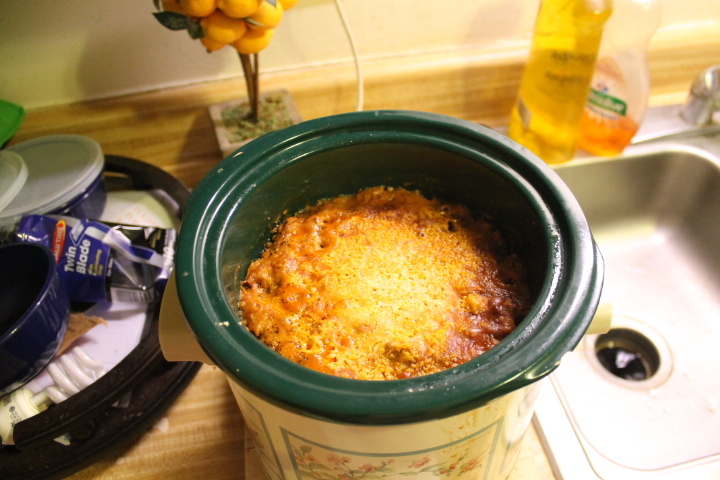 Cook lasagna on low in the crock pot for 4-5 hours. You can not cook this on high! After cooking, cut into the lasagna and enjoy! Sprinkle a little Parmesan on top of the lasagna and dig right in! I know you are going to enjoy this!